Dandelion House is a very special 4 bedroom, newly converted alpine farmhouse with garden, sleeping 10, in a stunning position with open views across the Bohinj Valley in the charming village of Podjelje at the foot of the Pokljuka Plateau and within the Triglav National Park. It is 20 minutes drive from Lake Bohinj one of Slovenia's most stunning natural treasures and in close proximity to quality skiing at Vogel and a huge range of river, lake & mountain activities in Summer. In the other direction lies world famous Lake Bled (25 mins) and the Pokljuka Plateau (10 mins) home to Slovenia's best cross country skiing and some of its most spectacular walking and biking trails. The village of Podjelje itself is quiet, beautiful and spread out, surrounded by pure nature and with wonderful views over the Lower Bohinj Mountains. Dandelion House has been recently renovated with lots of sensitivity to the original building to create an extremely comfortable, charming and well equipped holiday home with fireplace, table tennis, flat screen TV and internet among the many features as well as outdoor seating area and garden. 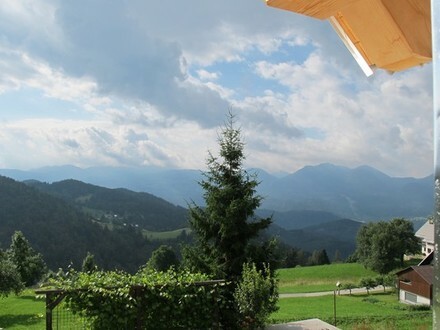 A fantastic base for relaxing in beautiful alpine surroundings or for exploring Slovenia’s enchanting Lakes Region.